Dive Into Chinese Culture and Cuisine on the Five-Spice Tour of Philly’s Chinatown and Dim Sum Tasting. Tickets start at $25 for children and $39 for adults, making the tour a budget-friendly way to explore city of Philadelphia. 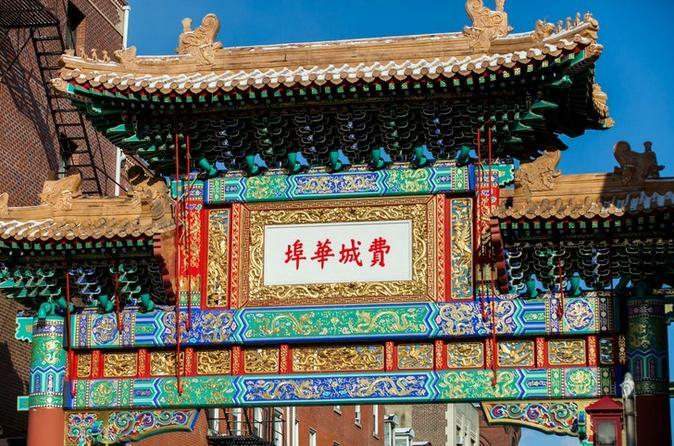 Your guide will lead you through Chinatown, giving some history between stops. You'll get the chance to explore a Chinese herbal medicine shop and even swing by a Chinese bakery and enjoy some fresh treats with bubble tea. At the end of the tour, you will taste dim sum at a local traditional Chinese dim sum house! There's much more on the agenda, so if you want to learn more about Chinese culture and cuisine, don't miss this unique tour. Have you wondered where to buy Chinese five-spice powder? or wanted to learn more about Dim Sum, that wonderful brunch served in Chinese Tea houses? Dim Sum, literally meaning “to touch your heart,” is served as an innumerable assortment of delicacies, consisting or varieties of dumplings, steamed dishes, and other goodies. Your tour guide will provide an insider's tour of this vibrant community and share fascinating information about the history, culture and food of the area. In this Chinatown tour (depending on the timing), walk through a Chinese herbal medicine shop, a Chinese place of worship, a Chinese bakery to taste amazing bubble tea, an Asian grocery store, a fish market, a bookstore for a Chinese calligraphy demonstration and more, and end with lunch at a Dim Sum restaurant. You should bring money for dim sum and purchases they may want to make. This tour allows you to taste, shop, and learn when it comes to Chinatown. You get to go with a group, or book a private party tour if you would like to bring just your family. Your tour guide will bring you around Chinatown, and allow you to learn Chinese culture through food, sights, and historical monuments throughout the community. We stop at all of the shops and restaurants while also being able to visit some of the more important historical and art buildings. Reservations are needed for the tour on a special date. You can contact us for yours today by calling at 215-352-4324. PLEASE NOTE: 1) Tour ticket does not include dim sum cost. We do dutch on the dim sum cost within the tour group. Based on the past experience, it costs $13-$15 per person for dim sum. 2) You have an option to go with the tour only (without having Dim Sum) for $2 less.